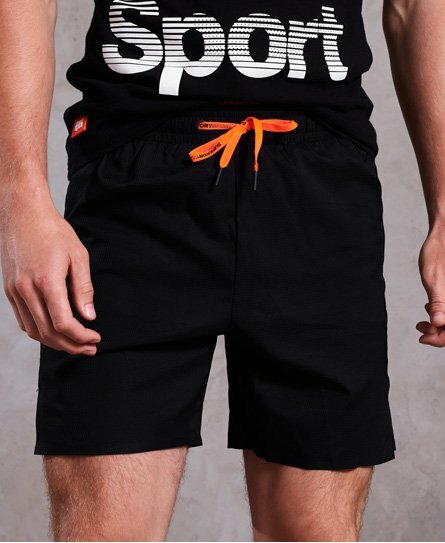 Superdry men’s Active double layer shorts. From our Active range these shorts are ready to assist you in smashing your next goal. Made with moisture wicking technology and quick dry fabric these shorts feature a branded elasticated waistband, draw cord fastening, one pouch and one zip pocket. The Active double layer shorts are finished with reflective detailing making you more visible in low light.